This type of membership falls into two categories. 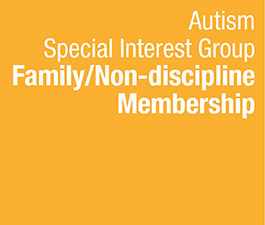 First, it would be any person who has a family member who has been diagnosed with ASD and/or developmental disabilities that does not belong to one of the other categories. Second, it would be any person who is a professional who does not fall into the other categories and works with individuals diagnosed with ASD and/or developmental disabilities.